California freshman Ryan Murphy earned another win with a 1:39.21 to win the event. His teammate Jacob Pebley finished second at 1:40.38. 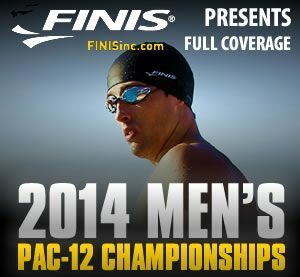 Both swimmers from Cal were under the old PAC-12 Championship record. Stanford’s David Nolan finished third (1:40.60), and his teammate Will Gunderson (1:42.85) earned fourth place points.